The 26700-135 is the SharpVue Inspection System. 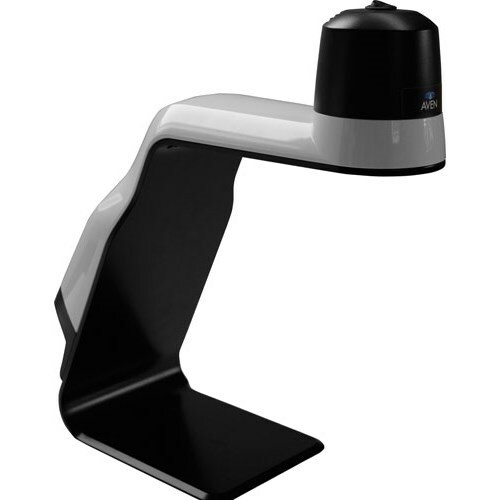 This system combines advanced digital microscope technology with comfort and ease of use. The 26700-135 displays crystal-clear 1080p images on your HD Monitor (Sold Separately). The Auto Focus HD camera with optic magnification provides up to 30x optical and up to 300x digital magnification. This camera provides stunning, high quality images without distortion or delay with excellent depth of field. The 26700-135 Inspection System is suitable for the inspection of circuit boards, analysis of seeds and grains, metal parts and cutting tools, pharmaceutical lab work, forensics and much more. The SharpVue Inspection System features both a USB port and an HDMI port (Cables Included). Use the USB port for connecting to a PC and the use of the SharpVue Imaging & Measurement Software (Included W/ Purchase). The HDMI port is designed for connecting an HD Monitor. The system also features an integrated LED lighting source, which provides even, shadow-free illumination. The 26700-135 is designed with a 9" working distance, optimum for viewing objects large or small. The optional HDMI Image Capture Box (26700-401-ICB) comes complete with a remote control. The remote control features clearly labeled buttons for easy access to the system functions including Zoom (in and out), Auto-Focus (on/off), adjustable Brightness, Grid Mode (on/off) and more. The Included SharpVue Imaging & Measurement Software allows for image capture, recorded videos, annotate, perform measurements and sharing your documents with your team. These files can be viewed, replayed and analyzed. The software uses 720p resolution and offers a Freeze Frame function, auto-focus mode, Grid Screen mode and the software is integrated with a IR Camera Mode. The SharpVue Imaging & Measurement Software offers a maximum Optical Zoom of up to 30x magnification and up to 40x with optional 4D lens (26700-135-4D). Watch The SharpVue In Action Here!